Is your brand really as customer centric as you think? Lego legend Christian Majgaard says business are looking at customers all wrong, and the industry could use a serious attitude adjustment. Former top executive at Lego, innovation expert and speaker at this year’s Wired for Wonder, Christian Majgaard now travels the world advising businesses on brand building and acting as a catalyst for innovative ideas. Assuming major roles during his time at Lego, Majgaard had his hand in the development of three of the world’s LegoLands, brought the Harry Potter franchise to the toy company and helped the brand move into cutting edge spaces of the time, robotics and gaming. Marketing caught up with Majgaard to learn about the industry’s ‘bad habits’, attitude innovations, airport interviews and the best toy in the world. Marketing: What is your proudest accomplishment from your time at Lego? Christian Majgaard: Whatever accomplishment, it has always been a team effort. I haven’t done anything alone, but I happened to have managed a lot of tasks, processes and departments over the years. 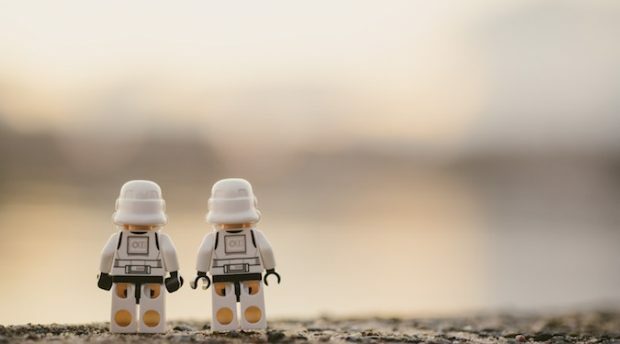 I think the most exciting thing, out of all those years, was when I managed business innovation and had the opportunity to take Lego into some new categories, new ideas. We developed a vision to become the world’s strongest brand among families with children. In order to accomplish that mission, we entered new categories where we formally had not been – the theme park industry, the robotics industry, the software industry and media, to name a few. When people ask me, ‘What is the world’s best toy?’, I say, ‘the ball’. It’s fantastic because it holds this capability for you to move the degree of difficulty with the task you set for yourself. It’s always fun to play with a ball, by yourself or with others. Think about soccer, I know you [Australians] have a sort of football. Then people say, ‘Well then Lego must be number two, right?’ I say, ‘No! Number two is water and sand’. Playing at the beach and building little castles is number two. Yes, you cannot always do it because you are not always at the beach. But then you could argue that Lego is a surrogate for the beach, or playing with little branches that you cut off a tree. Then Lego is number three, which is an accomplishment in its own right. Where did the idea for LegoLand come from? It started with a very small theme park in Denmark, already called LegoLand, which opened in 1968. It was based on an even earlier idea – that Lego was not only a toy for the hands of children, it was also a sculptural material for adult designers. For the second generation, Godtfred Kirk Christiansen hired a model designer way back in the ’50s, who made big fantastic models from Lego bricks, sculptures you could say. That was the birth of LegoLand, back in ’68, so it really took them by surprise and it made the family think, ‘There’s something here, this sculpture idea.’ In fact, of all the Lego sales offices in the world, the sales company that did the most for big models was the office out of Sydney, under the management of Tony Brown, who was completely mad about models. We often spoke about how there was more to be done in this space. By the late ’80s and early ’90s we crafted the idea that we should go more in this direction. It was driven by other issues we had. We realised how important it was maintain the direct access to the child centred family. Toy retailing was primarily dominated by Toys ‘R Us then, making up a huge percentage of Lego’s sales. It was very costly to advertise to families, so we were a little worried about how we could have a direct relationship with the end user. One of the ideas was that we should do much more with LegoLand and that entertainment side, create a place where children and their parents could have a great day out in the frame of Lego design, Lego ideas and Lego creativity. What really fostered the idea was that we needed to do more for the direct relationship with the child-family, other than being a box on a shelf in Toys ‘R Us for Christmas. Do you have a favourite LegoLand? The one in Denmark. I think they are all nice, but I love the one in Denmark. I’m not really sure why, perhaps it is because I came to Lego as a young child and as I fell in love with the company I also fell in love with that park. Also, I say that in total humility because I was much more involved in designing the three other ones. You’ve spoken about different industries having ‘bad habits’ before, what is the worst habit you are observing in the marketing industry at the moment? The one thing I see is structural. The whole concept of marketing is sound – all the activities that happen between the company and the customer, that’s pretty much what marketing is all about. Part of that relationship – which is present in all relationships – is understanding. You must understand the customer. You must be able to change or adapt any parameter that makes life better for the customer, and through that process make a nice little profit for the company. Most of the people I meet who call themselves marketers, or work in a marketing department, work with one-way communication. So they call them marketing departments, but they are basically one-way communication departments – that is one trend. The other trend I see is: because we have so much technology available, it is becoming much easier to measure how customers react to stimuli – on Facebook, Google Ads, what have you. You can easily get measurements of how many people clicked on this and clicked on that, it creates the false assumption that now marketing people really know all about their customer. But what they really know is only a little about their buying and information process. There is a higher ground in understanding customers and that is the ground of understanding their real lives and needs. If you innovate through the lens of ‘click’, marketing ends up becoming a very promotional idea, an idea of ‘how can we sell a little bit more today?’ Of course, that is part of marketing too, it’s just not the real aim of marketing. The real aim of marketing is making it right for the customer, and who then understands that, I ask myself? Have you ever been subject to a customer interview in an airport? I have quite a few times. I have a friend who manages an airport and he says, “We know all about our customers.” But again, it has too much of a promotional feeling around it. They would interview me about what I had bought while in the airport and whether I would consider buying more. What are the price brackets that I typically shop within while at the airport? The whole research thinks about me through the lens of money, a purse, not a human being. I miss the questions like, ‘Could you describe how you feel right now? Are you at comfort? Do you feel relaxed?’ If they had asked me that, I could have told them stories worth acting upon. But I’m never asked that, I’m always only asked about how much I shop. That shopper-centric attitude in marketing is bad, and I’m not saying this on behalf of the customer, I’m saying this on behalf of the growth opportunities for companies. If you only think about your customer as a purse, you can’t really develop things that matter. Is there a piece of emerging or underutilised technology that excites you in the marketing space? No. I think the next level of innovation doesn’t have to necessarily be a technology innovation, it could also be an innovation in attitude. Because we have all this technology, the risk of not getting the relationship with the customer right has increased. So one day, someone is going to have to come up with an attitudinal change. How do we really respect the customer? How do we get them what they really want? Right now, we are simply just tweaking and adding a new facet to the technology in order to get our business through today, and not creating real value. I happen to be on the board of new tech companies, I just think the next big step in marketing has to be to reinvent respect for the customer. Do you see emerging technologies playing a role in that? Or does the industry need to take a step back? In Denmark there is a house company that sells more or less modular standard houses for young families, first home buyers. This company has taken 50% of the market in a few years. They had two ideas which I really like. The first is: the customer only pays once the house is finished and the customer is satisfied. Only when the customer says, ‘Yes, we have nothing to complain about, everything is perfect’, then they pay. It adds a lot to the confidence, which is so important. It’s a big investment for a young family to invest in a house, so I quite like that marketing idea – you pay once its finished and you are satisfied. The other thing they do very well with is customer complaints. Would you like to know who handles the customer complaints at that company? It’s not a robot, it’s the CEO himself. He doesn’t even have an office, he sits in his car because he is always driving around talking to new customers who are about to have their houses finished. There can always be issues, but who is better to solve it than the CEO? Nobody, because he can tap every parameter. Do you have any advice for marketers to apply on an individual level? Job rotation. You can stay within marketing (because marketing means one way communication now), but you could also have a year where you do market research, a year of sales, a year of design, maybe a year studying anthropology – which is very important in marketing – and if you’d like to become a general manager, you should also take a year in the finance department, however boring that might be. Check out the Commonwealth Bank’s Wired For Wonder event, an eye opening event in Melbourne on 11 September and in Sydney on 13 September.